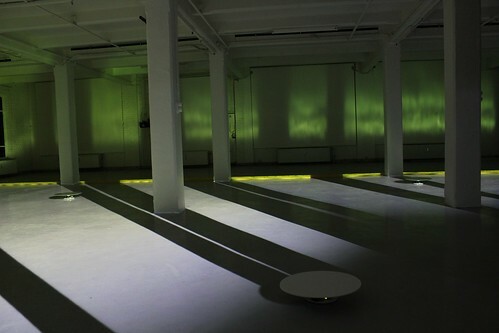 I have made two new works for my exhibition at IMAL, which is my first solo show in Belgium (29.04-22.05.2011). As in my recent installations blink and split I am interested in relating directly to the architecture of the exhibition space. The main IMAL space is about 200m2 with a grid of 12 columns. 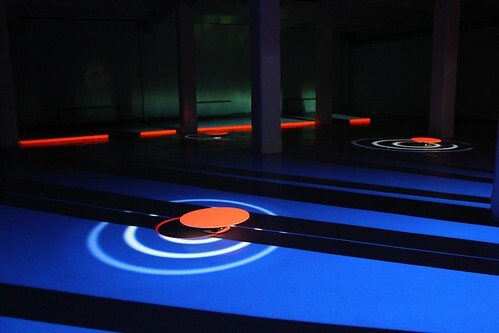 The circular discs are freestanding sound modules (five in total) placed on the floor. 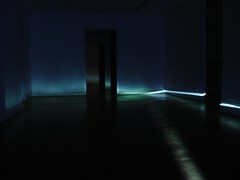 A slowly-paced sequence of projection and sound transforms the space into a contemplative environment. 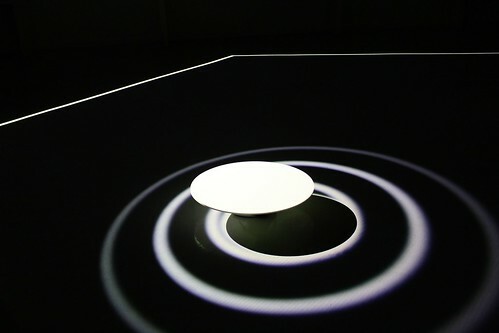 The other installation explores through projection,light and reflection the inside,outside and perimeter of a circle mounted at a 90 degree angle to the floor. This is a first in a series of work creating dynamic volumes out of precisely cut flat shapes (in this case using a cnc mill). 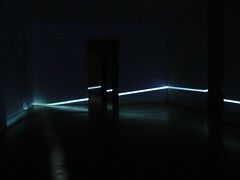 For more images (also in print quality) from both installations take a look at my flickr set from the exhibition. 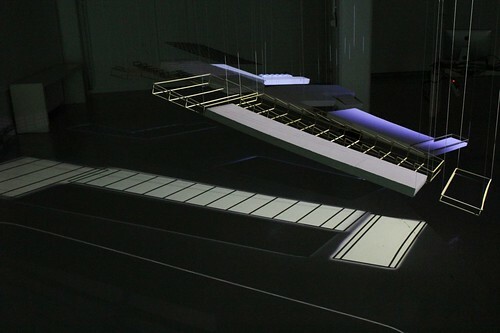 openLAB exhibition – Quentin Gubin, Luz Diaz & Filip Daniels (BE) : Zoning en suspension, originally uploaded by iMAL.org. 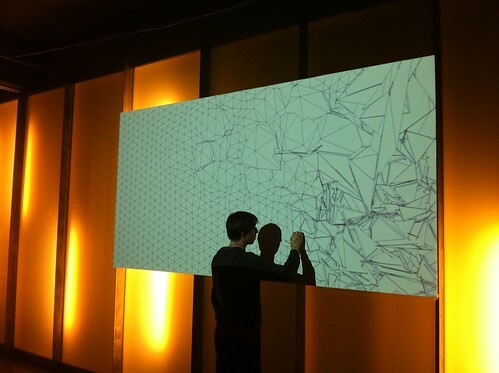 In beginning of April IMAL hosted an openLAB workshop called “Projections on forms and spaces”. The workshop was led by me and was mainly based on using VPT. We selected 7 projects to be realised during one week development at IMAL, and the documentation is now available from IMAL. It was an intense and interesting week, and interesting to see VPT explored for new uses in installation and performances. A new development for me was to introduce a simple video and audio trigger setup (available in the xtension section), which allowed for some audience interaction, as well as use of the serial module for controlling lights inside sculptures. This year started with me co-curating together with Anne Szefer Karlsen an exhibition about Len Lye at HKS in Bergen, Norway. Lye has interested me for a while. I discovered him the first time in the eighties when MTV screened his experimental films between music videos (yes, they still showed music videos back then). 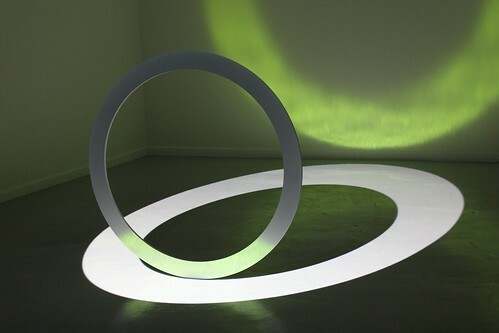 I then rediscovered Lye through his kinetic sculptures a few years back when I was doing research on motion. I became particular fond of Lye´s “figures of motion”, he described his raw material as not being film or steel, but motion. HKS, which has never presented the work of a non-living artist before, was eager to do an exhibition on Lye, based on my enthusiasm for his work. We ended up showing six of his films in the gallery, presented one at a time on three screens of different size, thus forcing the audience to move around and relate to his work at different scale. 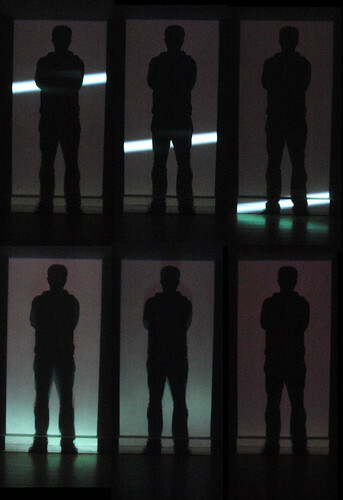 In this way the presentation of his films became a choreography of the movement between the screens. It was great to see his films in high quality digital copies which really brought forward the textures from the paint strokes and scratches in the original film. Presenting Lye´s films by showing restored digital files projected by video-projectors onto custom-built screens obviously influences how the films are perceived (Maybe not even Lye has ever seen them in such a good quality). We were intent on focusing on the relation between colour,texture, movement, rhythm, sound and scale instead of making a historical pristine presentation. The films we showed in the exhibition were A Colour Box (1935), Trade Tattoo (1937), Swinging the Lambeth Walk (1939), Rhythm (1957), Free Radicals (1958, re-edited 1979) and Particles in Space (1957, finished in 1979). We also had several side programs during the exhibition period, including the lecture The Musicality of Modernism by Per Kvist, a screening of the documentary A flip and two twisters, as well as a live evening, Len Live, where we invited three sound artists, Lasse Marhaug, Maia Urstad and Espen Sommer Eide, to create three different soundtracks to Lye´s film Tusalava (1929). For those interested in checking out Lye´s films in a quality better than the pixelated youtube copies circulating I would recommend the DVD release. As part of the preparation for the exhibition we got the chance to go twice to the IKON gallery in Birmingham which had a Len Lye retrospective from november 2010 to february 2011. 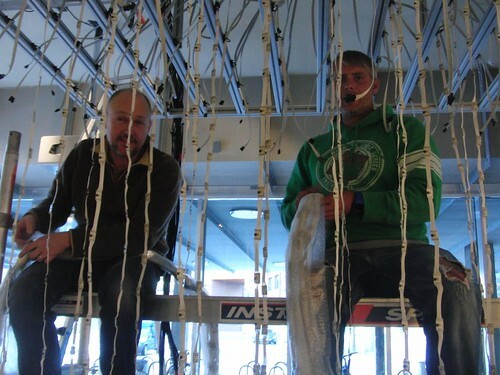 This gave me the rare opportunity to see some of Lye´s kinetic sculptures, which I made a small documentation from. Last week the symposium Oslo Lux took place at the School of Architecture and Design in Oslo, organized by Anthony Rowe and Ståle Stenslie. 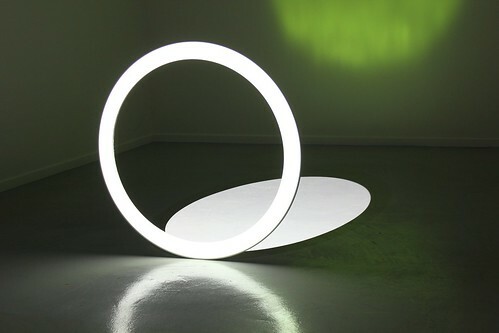 It was a one day event with speakers from art, architecture and design discussing uses of light in different projects. I spoke at the seminar, created a snow projection and gave a 2 days VPT workshop so it was a very intense but interesting week. The keynote speakers were AntiVJ and UVA. The list of speakers also included Timo Arnall who had a very interesting talk on light painting, presenting work of people which I felt I should have know about already (Gjon Mili, Michael Weseley, Eric Staller). His second topic about visualizing the RFID and wifi networks range was also interesting. In fact the mix of speakers and topics made the day go by really fast! I went to a separate event at Atelier Nord earlier in the week where Joanie and Simon from AntiVJ gave a 2 hour enthusiastic talk about their work. They were very excited about real-time software, and it reminded me a bit of the same energy which I experienced ten years ago with realtime video software like Imagine, nato and jitter. 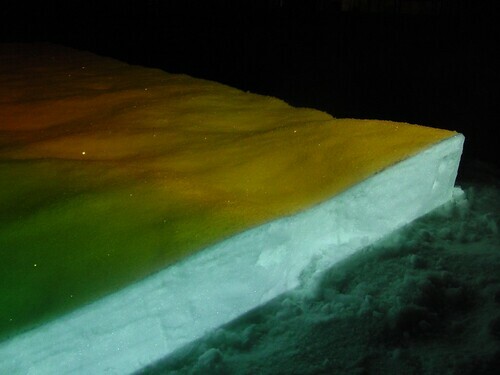 I was part of the exhibition and decided to do an outdoor snow projection. Unlike my previous attempts on working with snow I decided to not try to build anything with the snow, but instead cut out a piece of snow and work with the top curvy surfaces and the edges. It seems I am unable to make anything but slow meditative pieces nowadays, but the result wasn´t that bad, really. 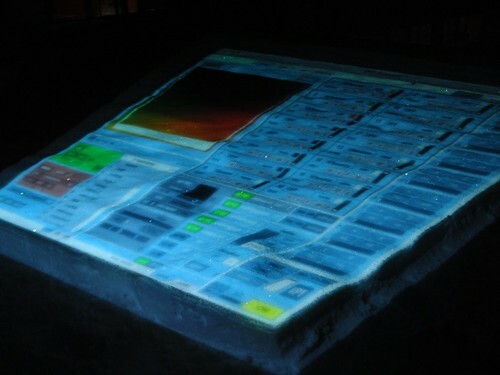 More images from the projection at flickr. The two day VPT workshop at Atelier Nord was fun, a very focused and eager-to-learn group, and several of the participants have already started doing their own projects with the software, which is exciting. On November 13th my second solo exhibition at Galleri 21 in Malmö opened, and it runs until December 5th. 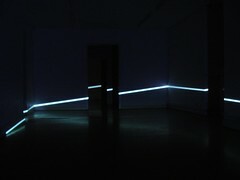 I created two site-specific installations, which both derive from recent work, investigating the relation between light/projection/shadow,space and movement. 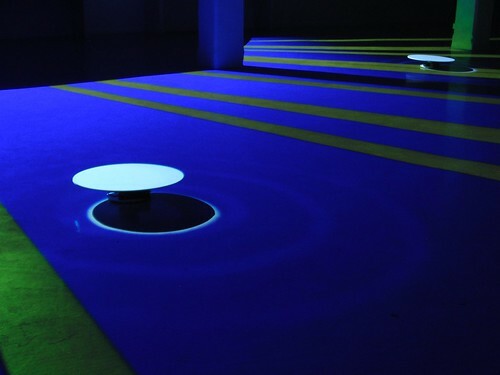 At the moment I only have decent documentation of one of the works, so I will just briefly mention “Kaos på dej”, which is basically a variation of the blink (light/shadow) installation but with some furniture. 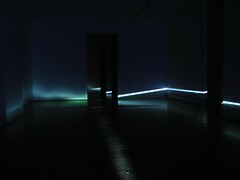 Snitt, which spanned over three rooms in the gallery, is a projection of a white line onto the surfaces of the gallery: “A straight line moves slowly through the three rooms of the gallery space, cutting the space into different sections (snitt). 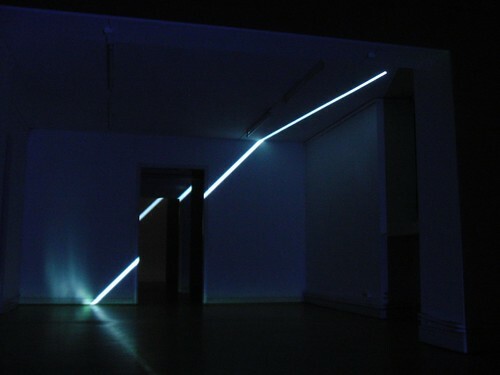 The movement of the line, “attacking” the space from different angles, focus the attention of the viewer on the physical qualities of the space. And here is a video showing some of possible configurations of line-space. If you still want to see more, here is a slideshow. On November 20th an exhibition opens at Museet for Samtidskunst in Roskilde, Denmark, showing works from the french DVD label Lowave´s archive. 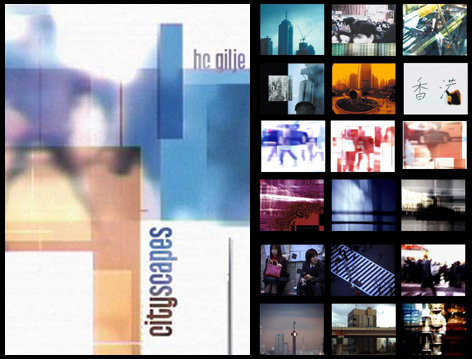 I released my Cityscapes on their label in 2005, which will be part of the exhibition. 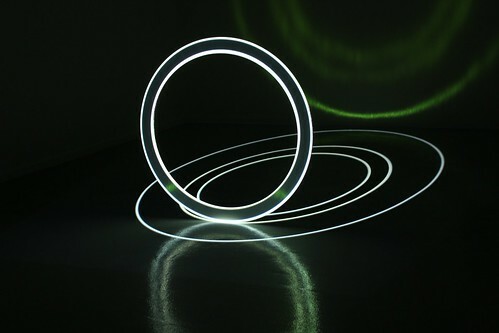 The exhibition runs until 27.02.2011. However, since I currently have a solo exhibition at Galleri 21 (more about that later when I am finished with the documentation. If you are really impatient, you can see a slideshow from one of the installations) in Malmö which runs until December 5th, this is a perfect opportunity to catch both exhibitions, as they are only a short trainride from each other. I spent last week in Dortmund, preparing for the Trust exhibition, showing at the new Dortmund U. 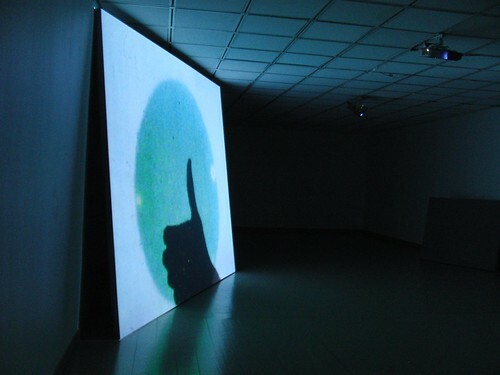 Trust is an exhibition curated by Andreas Broeckmann and Stefan Riekeles as one of the exhibitions for ISEA2010 which takes place in the Ruhr area later in August. 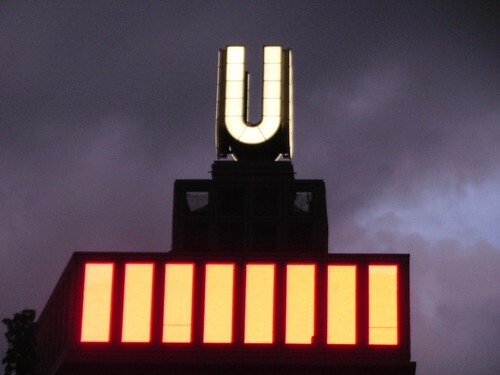 Dortmund U used to be the Union Brauerei (brewery), and is now turning into a center for different cultural activities. I am showing a new version of blink, with new sound and a few visual changes as well. Seiko Mikami (jp), Carsten Nicolai (de), knowbotic research (ch/at/de), Milica Tomić (rs), Ariel Guzik (mx), Joan Leandre (es), Joyce Hinterding (au), Julien Maire (de/fr), Naeem Mohaiemen (bd), Sophie Bélair Clément (qc/ca), Konrad Becker (at), Verena Friedrich (de), Antoine Schmitt (fr). I am happy to be part of this group of interesting artists, and look forward to the catalogue which will be ready for the ISEA conference. The exhibition is on until September 5th.